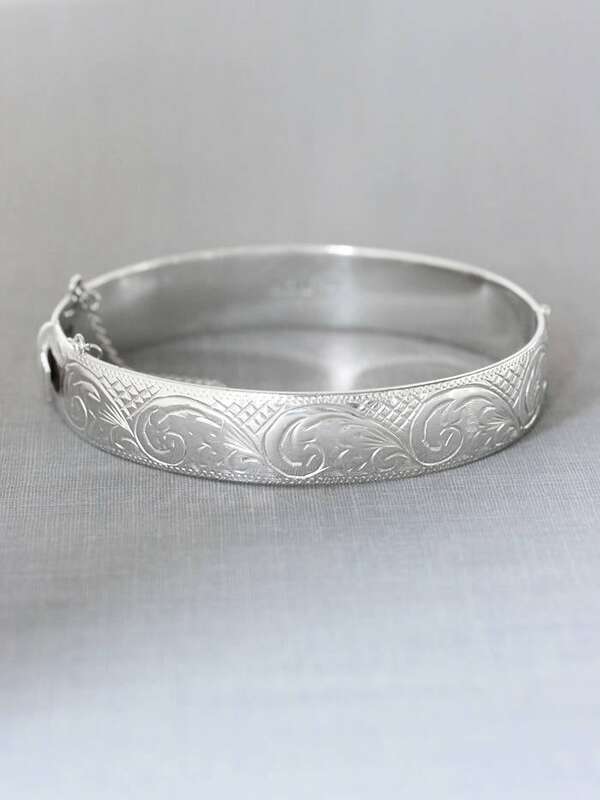 Waves of silver seem to roll around this beautiful sterling silver bangle bracelet. 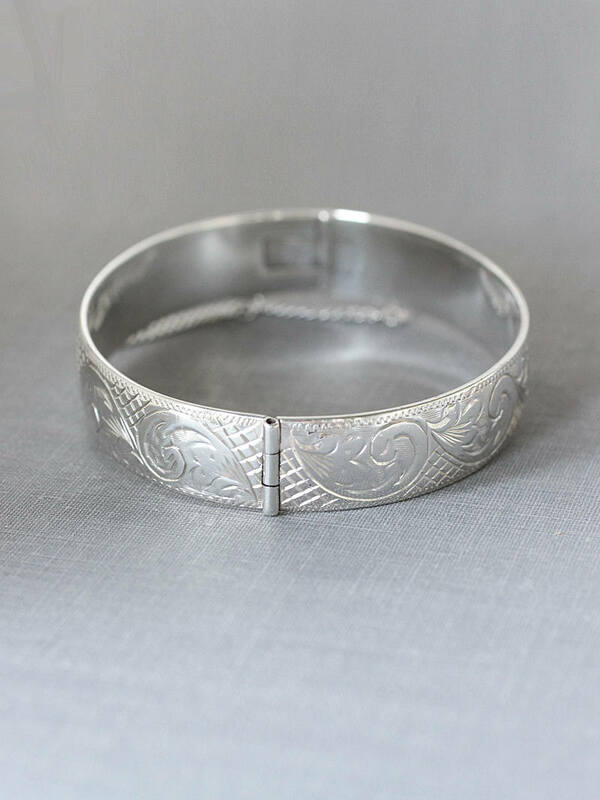 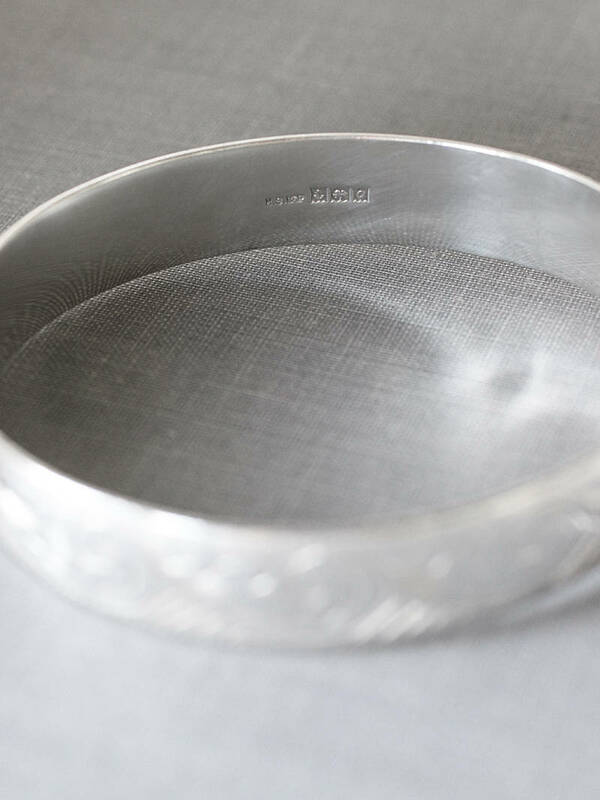 The vintage early 1960's sterling silver bangle is engraved with the eye catching design all the way around. 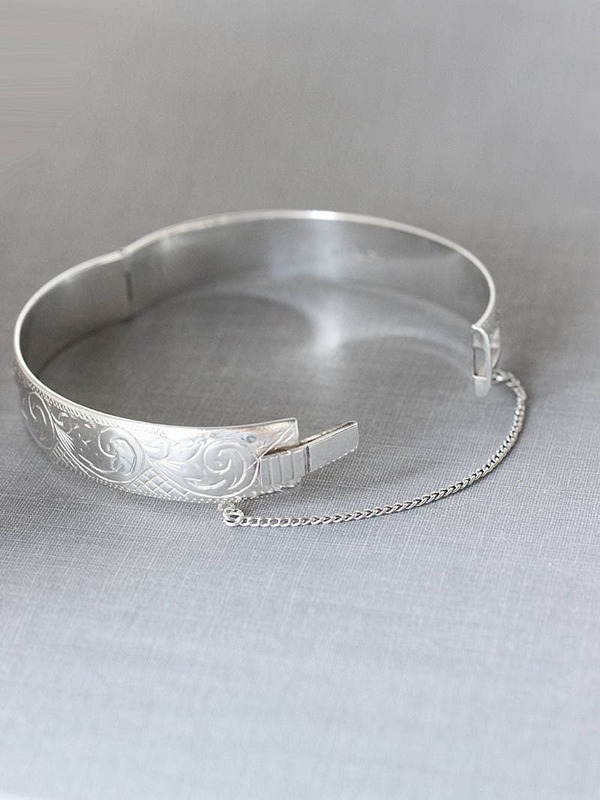 The bangle opens and closes with a safety chain and is fully hallmarked on the interior. 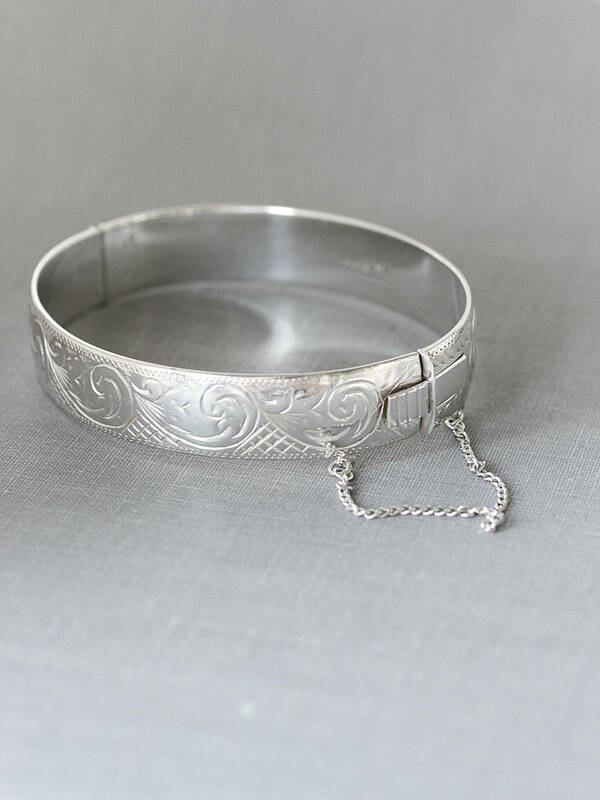 Hallmarked: an anchor for Birmingham, England, a lion passant for solid sterling silver, the date letter "O" for 1963, and the maker's mark "H. S. Ltd"